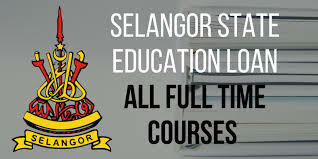 The Selangor Education Loan is a loan without interest specifically for those staying in Selangor who are studying full-time in Certificate, Diploma and Degree level for the first time in public and private universities in the country. Applicant’s who have resided in Selangor for more than 5 years with approval from ADUN / Penghulu / Head of JKKK / Village Head. *Preference is given to Selangor citizens. Only applicants who have not received any sponsorships from other providers are eligible to apply. Students who have received any form of sponsorship (loan/scholarships) for example PTPTN, JPA, MARA, etc. are not eligible to apply. *Please check your results 2 weeks from the closing date.